Between 2011 and 2014, the United States Postal Service (USPS) used an image of the Statue of Liberty for its Forever Stamp series (a type of First Class postage stamp). Unfortunately for the USPS, the image they chose was not actually of the famous statue that towers over New York Harbor designed by French sculptor Frédéric Auguste Bartholdi in 1886. Instead, the image they chose was actually Robert S. Davidson’s replica Statue of Liberty which looks over the New York-New York Hotel & Casino in Las Vegas. Davidson sued for – and won – nearly $3.5 (£2.6) million in royalties, plus interest. As reported by Artsy, an eagle eyed stamp collector identified the mix-up in 2011. The USPS was made aware of the goof in 2013, but went on to print another 1.13 billion stamps with the replica’s image. For context, the judgement cited that the USPS made some $70 million in revenue resulting from sales of this Lady Liberty stamp alone. The Post Office purchased the photo used on the stamp from the image service Getty for $1,500 (£1,140). However, the license only covered the rights to Getty’s photograph of the statue — and not the statue itself. The USPS neglected to seek permission from Davidson, likely because they simply assumed what it was using was in the public domain. 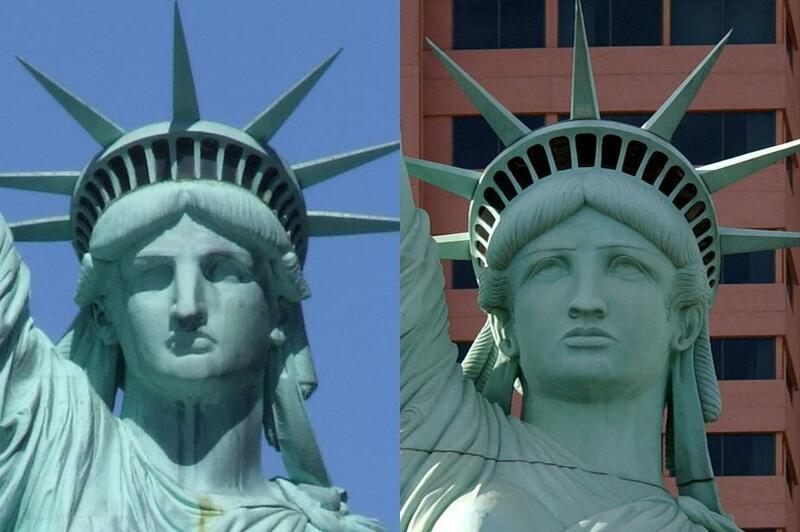 In its defense, the USPS asserted that the statue is a replica and accordingly, contains no truly original work. If true, this would render Davidson’s copyright claim invalid, and the government would owe nothing for its use of the replica statue’s image. Davidson was therefore tasked with proving that his copyright in the statue was valid, which under US law requires only a showing of “some minimal degree of creativity” and that it was his own “independent creation” of those original elements. By way of reminder, the focus is on the expression of an original idea and not the idea itself (Oracle Am., Inc. v. Google Inc., 2014). As such, Davidson’s statue did not need to be wholly original, but rather a “new and original expression” of some previous work or idea – namely, the famous Bartholdi statue.